We envision a Yale where sustainability is seamlessly integrated into the scholarship and operations of the university, contributing to its social, environmental, and financial excellence and positioning Yale as a local and global leader. The Yale Sustainability Plan 2025 demonstrates our commitment to building a more sustainable world. It creates opportunities for leadership and engagement across all departments and disciplines. The initiatives laid out in this document connect research and teaching with opportunities to solve the real-world challenges of our day. By leveraging our expertise in humanities and the sciences, we can find innovative solutions, technologies and best practices to shape a better future. Download the Yale Sustainability Plan 2025. 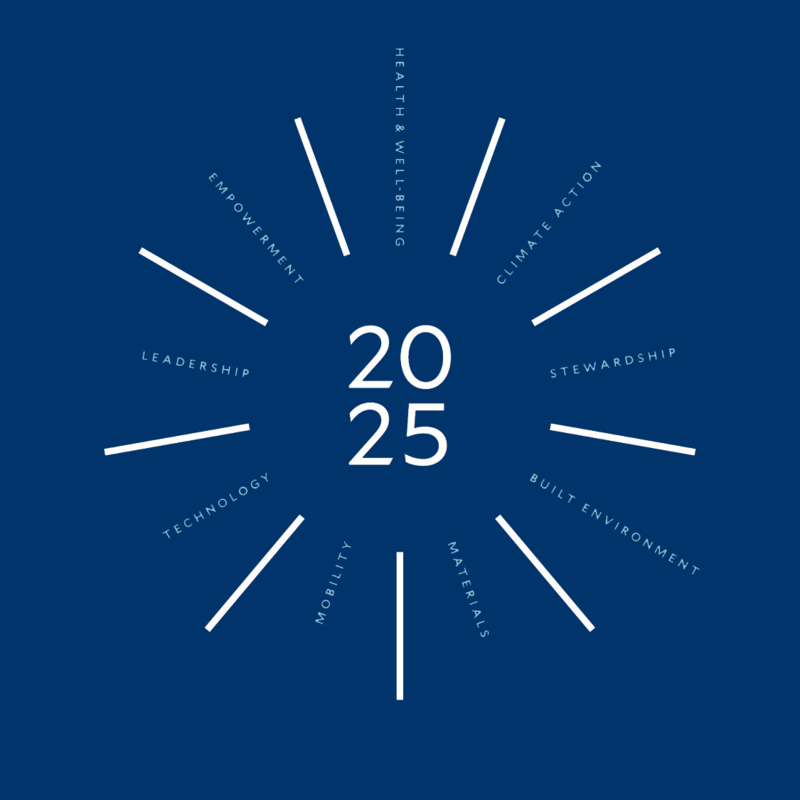 The Yale Sustainability Plan 2025 is a result of eighteen months of input and dialogue across the university community, and reflects the priorities of the University community. Two governing bodies oversee implementation of this plan to ensure our sustainability activities remain transparent and advance the mission of the University. The Sustainability Advisory Council is a group of institutional leaders and alumni tasked with offering guidance and inspiration on Yale’s Sustainability Plan. This group meets annually and receives quarterly updates from the Office of Sustainability. The Implementation Steering Committee is a rotating selection of faculty and staff that support the execution of the Yale Sustainability Plan, particularly its integration into the scholarship at Yale. This group meets three times per year. Learn more about the history of sustainability planning at Yale and our past planning efforts. As a higher education institution with a global presence, Yale is committed to sustainability planning and actions that forge new paths. The nine ambitions described in the Yale Sustainability Plan 2025 offer a set of unifying priorities to help foster academic exploration, encourage dialogue that spans academic disciplines, and create new ties between Yale’s operations and its teaching and research mission. Yale is committed to academic leadership in the sciences, social sciences, arts, and humanities, and to providing a campus learning environment that cultivates innovators, leaders, pioneers, and entrepreneurs in all fields and for all sectors of society. This plan outlines programming and priorities related to academic exploration, diversity, and collaboration—all vital components of the vision for a more unified and interconnected Yale. In 1716 Yale University moved to New Haven, Connecticut. As we commemorate this tercentennial, it is extraordinary to consider what New Haven and Yale will be like three hundred years from now. This plan—with its nine ambitions and nine-year time frame—is the first step of what we hope will be a remarkable journey. The Yale Sustainability Plan 2025 contains 38 goals, organized into nine ambition areas. Many of Yale’s academic departments and operational groups have embraced the University’s sustainability goals and created Sustainability Action Plans to reflect their disciplines and unique roles within the institution.